Kevin Doi is a church planter and founding pastor of Epic Church in Fullerton, California. He is also co-founder of JOYA Scholars, a non-profit organization inspiring and preparing students from the Garnet Neighborhood in Fullerton toward higher education. In 2012, Kevin was recipient of the Ambassador of Peace Award, a congressional honor for his work with JOYA Scholars. He has also served on the boards of Solidarity and Oasis USA, global community development organizations. Kevin earned his Doctor of Ministry with distinction in Contextual Theology from Northern Seminary in Chicago and received his M.Div. from Fuller Seminary. 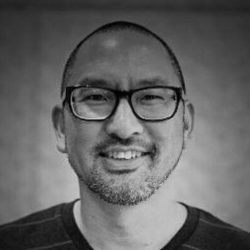 Kevin is an D.Min adjunct professor with the Asian American Center at Fuller Seminary and contributing author of “Starting Missional Churches: Life with God In the Neighborhood” (IVP, 2015). He and wife Dorene have two teenage children, Jarron and Charis.